Delivering up to 75 Watts of Temperature Controlled Power! This ergonomically designed mod features the innovative ultra-fast and accurate AETHON temperature control board. 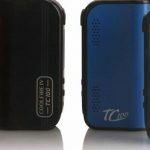 The Cool Fire IV TC 18650 can be safely transported with ease using the convenient carrying case. The CoolFire IV TC100 is powered by the Ultra-fast advanced AETHON chipset with 100W of pure power with ClearWave noise cancellation technology. 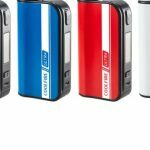 Compact, powerful, durable, beautiful and much more, the CoolFire IV TC100 sets the new standard in vaping excellence. The CoolFire Ultra! 150Watts of pure power and unsurpassed precision that fits perfectly in your hand! Powered by the ultra-fast AETHON chipset, the CF-Ultra is extremely precise and packs 150Watts of real output and advanced Temperature Control into a compact and durable vaporizer. The Cool Fire Mini packs 40 Watts of precise output and a real 1300mAh battery into an ergonomic shape that is only 63mm tall and designed to fit perfectly in your hand! 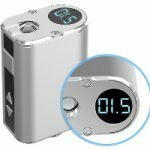 The new curved button design is more comfortable than ever and the bright OLED clearly displays all important vaping information. 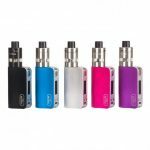 The Cool Fire Pebble Starter Kit featuring the Slip Stream Tank and a 1300mah battery. 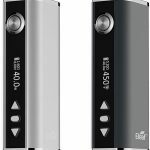 Innokin’s most compact mini mod to date featuring up to 50 watts of Power!! 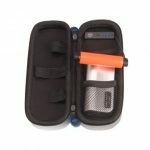 The Cool Fire Pebble Starter Kit is another easy to use beginner vaping system. The iTaste Kroma Starter Kit featuring the Slip Stream Tank. 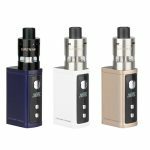 A compact and stylish mini mod that features up to 75 watts of Temperature Control Power The iTaste Kroma Starter Kit is an ergonomically designed easy to use vaping system that is perfect for beginners.